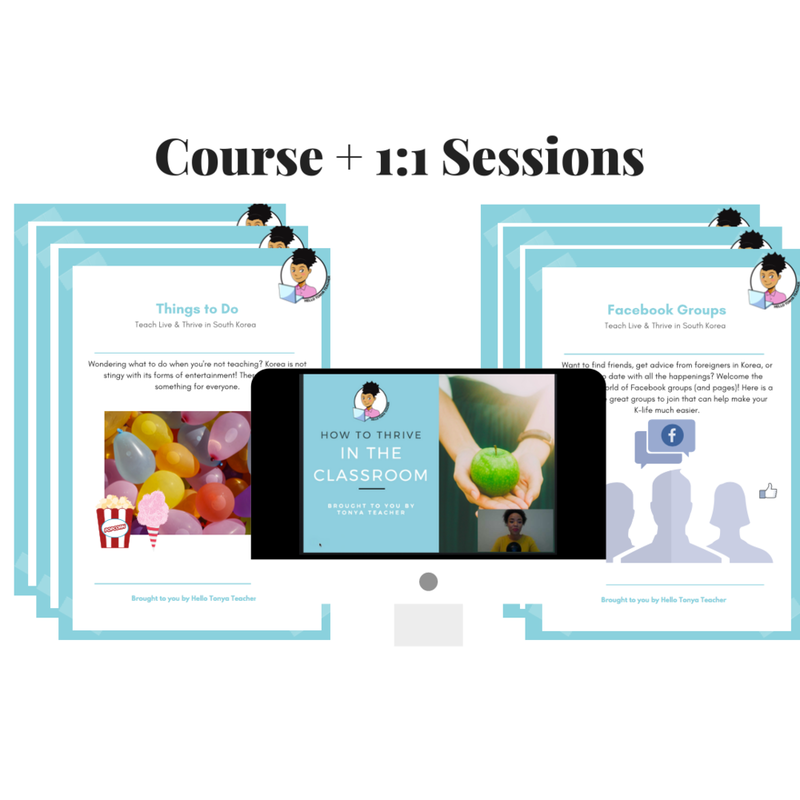 Get access to the entire course, unlimited email support, plus TWO 1:1 video call sessions with me. Each session is dedicated entirely to you and not shared with any other students. The use of this session is up to you, the student. We can work together on your application materials, review contracts you are considering, job search, answer your questions, or any other way seen fit to help you on your journey. For those who want VIP treatment and maximum support on their journey! Get access to the entire course, unlimited email support, and weekly coaching and check-ins until you've reached your ESL Korea goals. If a job option falls through, we'll pick right back up with finding you the perfect match. Together we will thoroughly craft your application materials and I'll be preparing you with guidance and support for the big move right up until take off!